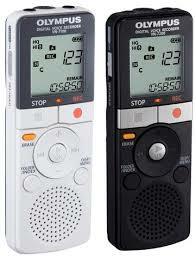 Pioneer Transcription Services has been providing digital transcription services for many years. We were one of the very first companies to offer a digital option in the late 1990s and early 2000s. We started providing these services when most of the world was still on dial-up. That alone tells you how long we have been doing so! We continue to keep abreast of changes in the transcription industry and have fully embraced the digital era. Digital recordings are so much clearer than analog recordings and always make for a cleaner transcript. We highly recommend that you create digital recordings rather than analog recordings whenever possible. We can also handle your DVD, CD, online video or audio (WebEx, You Tube, etc. ), or any other digital audio format that you may have. Sending your files to us extremely simple. Using our online transcription services is as easy as sending an e-mail, except you can send much bigger files than you can typically send via e-mail. Use the Upload a File link on any of our pages and you will immediately be taken to a page where you can upload your files to us for transcription. Our prices for transcription services are $1.50 per audio minute for standard turnaround (2 to 3 days) or $1.67 per audio minute for rush service (24 hour turnaround). Please do not hesitate to call us (530) 913-3051 at any time if you have any questions. Unlike some transcription services, we always answer our telephone during business hours and welcome the opportunity to speak to our customers and prospective customers. We also offer the option of digitizing your old cassette tapes into more modern file formats. The cost for this service, including the transcription is $1.67 per audio minute. We are also available by e-mail and answer all e-mail in a timely manner. Return from Digital Transcription Services to Conference Transcription.